This unique workshop will take your current understanding of Mindfulness to the next level. You will be able to broaden your understanding of mindfulness know-how techniques to assist clients, not only in achieving mood regulation or inner peace, but also in motivating them when they find the regular practice of Mindfulness too difficult to stick to in the long term. Mindfulness is more than just breathing, and so is this workshop. This practical workshop focuses on adapting mindfulness for individuals and groups, adults and children, in therapeutic, educational, medical and other settings. 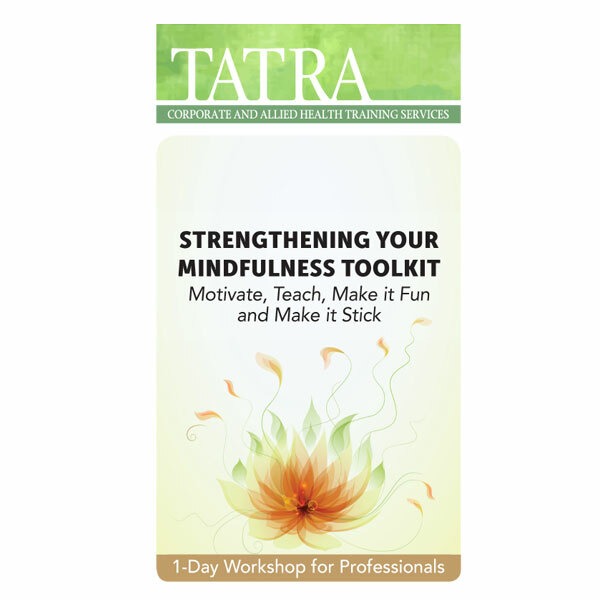 You will learn techniques for engaging clients based on their issues and concerns, and best practices for helping them apply mindfulness in their daily lives. Research continues to show that mindfulness is an effective treatment for anxiety, depression, stress, pain relief, and many other ailments. As practitioners, we recommend Mindfulness to our clients as evidence-based treatment, but do we really know how to help our clients to use Mindfulness as a regular practice? Or, do we just tell our clients to practice Mindfulness, we recommend it, and then leave it at that? How do we motivate clients when they find Mindfulness too hard to stick to? And, most importantly, how do we teach children to use Mindfulness? Do we know how to present Mindfulness to our clients as an interesting and a dynamic practice that helps to change their brains for the better? Join bestselling author, psychologist and international Mindfulness expert, Dr Christopher Willard in this dynamic and practical workshop on teaching mindfulness to clients, and making it stick. Dr Willard will be sharing proven practices that can be used by mental health workers, counsellors, psychologists, supervisors and other such professionals looking for creative ways to integrate mindfulness into their work. Dr Willard will use case study examples from his work in various agencies and in Harvard Medical School.